The kids can’t get enough of board games. Lately, their favorite games are Candyland and Chutes and Ladders. However, Mom can’t stand playing those over and over! 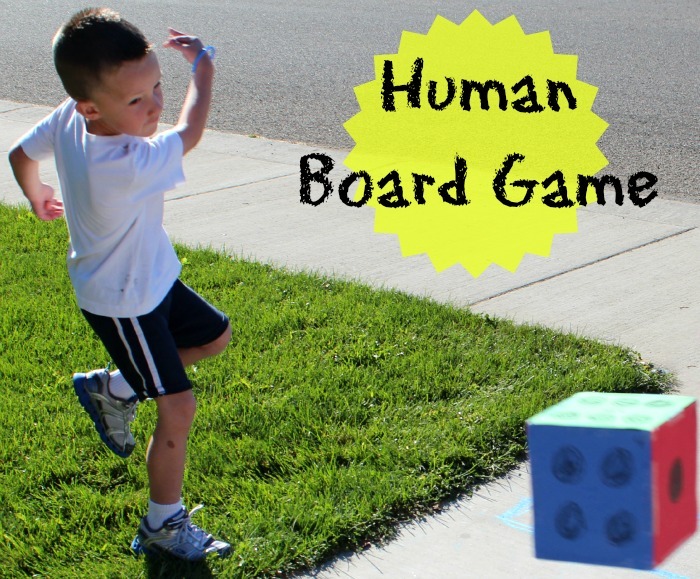 That’s why I made a human board game. The best thing about this game is its limitless applications. 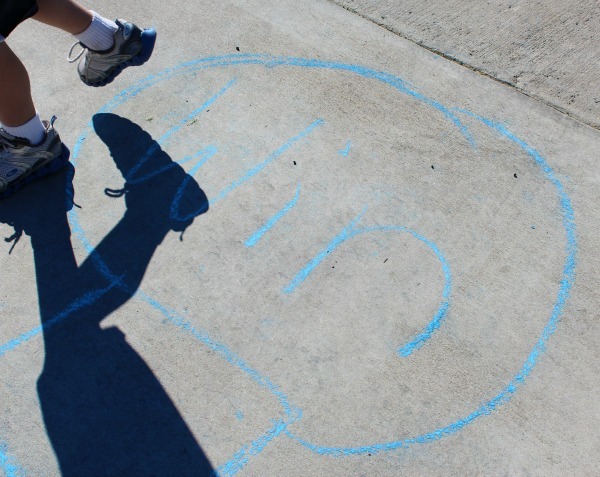 We also get fresh air and some exercise while learning math concepts like one-to-one correspondence and real number values. 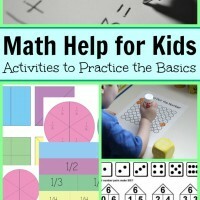 You can make your board game as complicated as you think your kids can handle by adding more elements like letter sounds or words. First, draw your board with chalk. You could make a fun shape or do a spiral. I put red Xs in some of the boxes as “lose-a-turn” spots. You could put a +1 or -1 in some of the boxes for “move ahead” or “move back” – spots to include addition and subtraction into the game. Next, choose your counter. 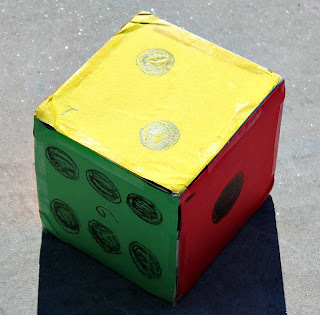 We made a die from a box, construction paper, and tape. The object of the game is simple; first one to the end Wins! 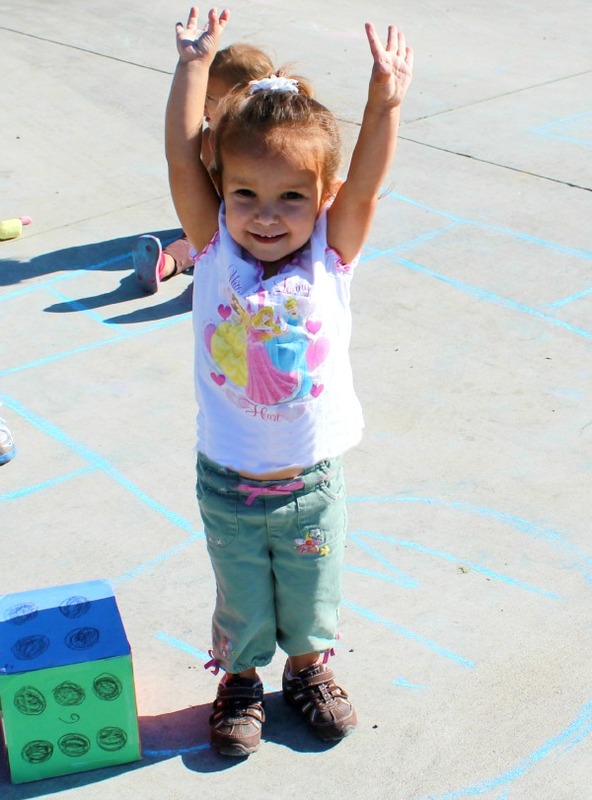 Celebrate, because learning is fun! 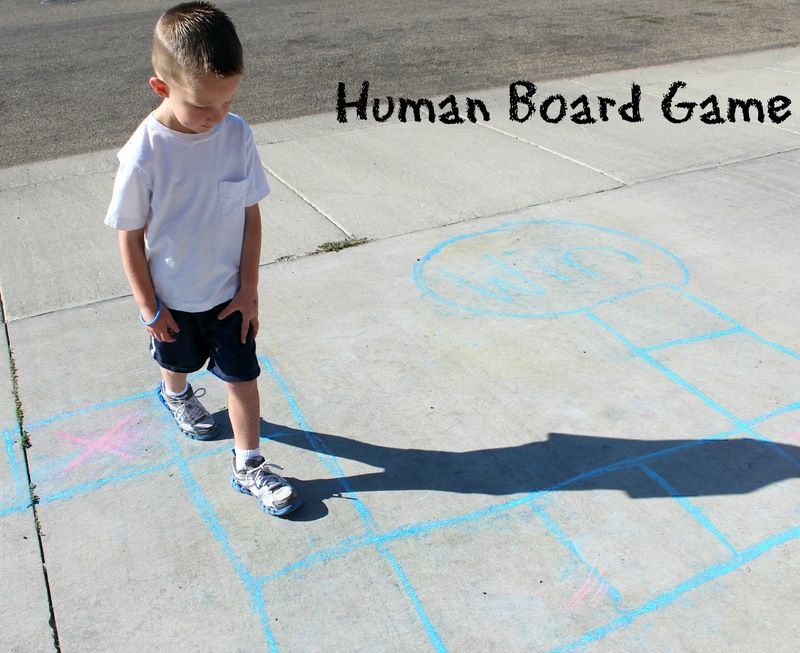 To make this an indoor human board game, simply use rubber place markers or masking tape to draw your board. You could even add an extra educational element and only allow people to roll after they answer a question correctly. 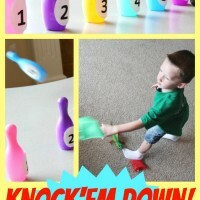 One more tip to make this your children’s favorite game, add a reward for the winner! 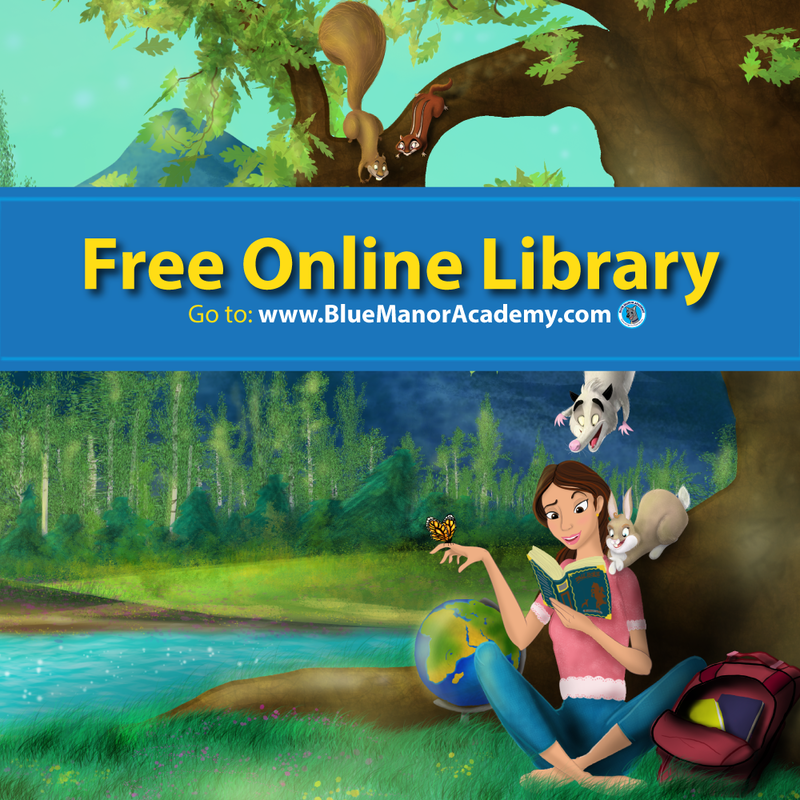 It could be a Popsicle Stick, treat, or position of authority (like choosing the next activity or a book for story time). Whatever it is, that reward will make the game even more exciting! 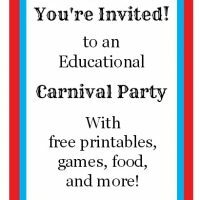 Throw an Educational Carnival Party: Games, Printables, Food! What a fun idea! My children will love this, and the weather is turning nice for being outdoors. Love this! What a great way to get everyone moving. 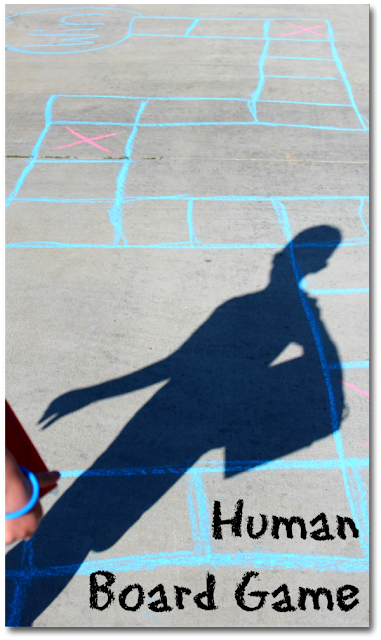 A lot to be learned from board games, what fun to create them in giant size outdoors. Just popping over from It’s Playtime and would love you to share this on Country Kids with me too. 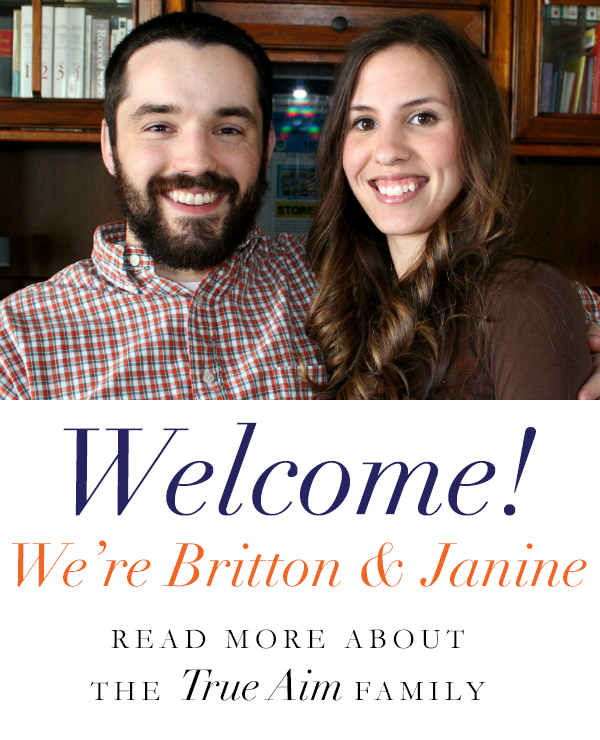 Great idea, love that you took your kids passion for board games and made it bigger! Thanks for stopping by tge Outdoor Play Party.